Aeora began as a hobby and bedroom project of Lisa Spencer before being discovered at a cafe by her manager, by initially bonding over a mutual love of Harry Potter. Amidst a slew of challenges, Melbourne-based electro-pop artist Aeora wrote new single ‘Afloat’ as a reminder of the importance of being happy. The track is centred around Aeora’s powerful vocals amongst sleek production. 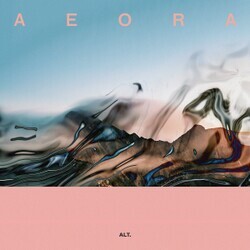 ‘Afloat’ is the second release from Aeora’s upcoming debut EP, Alt. – slated for release this July. Barbed trips and warped takes on 90s inspired slacker-grunge is what you can expect from Melbourne four-piece Oscar Galt and The Eventual Somethings and their unhinged brand of brooding noise-rock. A gut punching dive into a 90s inspired scuzz oblivion is Oscar Galt & The Eventual Something's latest offering 'All Hail The Worm.' It's a wirey piece of spiralling slacker-grunge that serves as an anthem for the existentially desolate. Knocking about between escalating dirty blues and garage punk, these guys aren't just another young suburban four-piece chiming in with their opinion of whether VB is any good or not. Aggravated kick drums pummel fuzzed out guitar lines and 90s inspired hooks. Four guys from Melbourne's south-east channelling any sort of pent-up angst and emotional frustration into brilliantly disguising pieces of shimmering guitar pop.